The way to attract bees and butterflies to your garden space is to provide herbs and flowers they prefer (see list below) as well as a water source. Choose a shallow container. A terra cotta saucer is perfect. 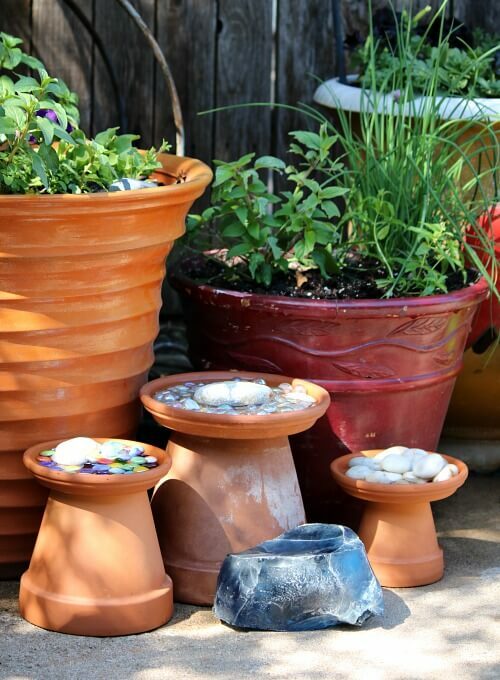 I’ve elevated my trio of saucers on various-sized terra cotta pots. 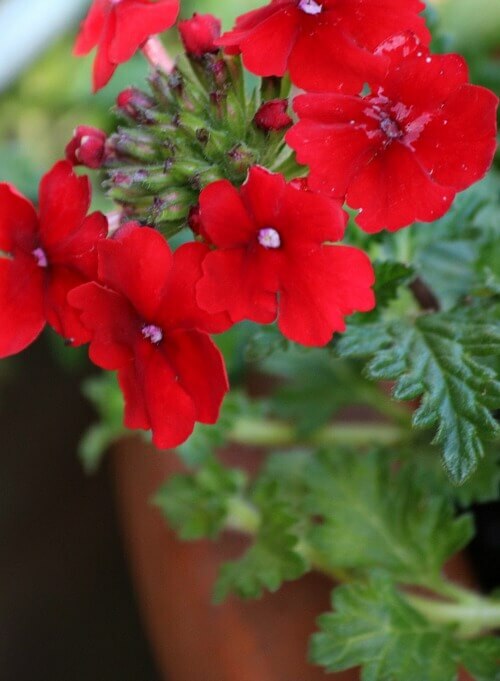 Place near their favorite flowers and plants. 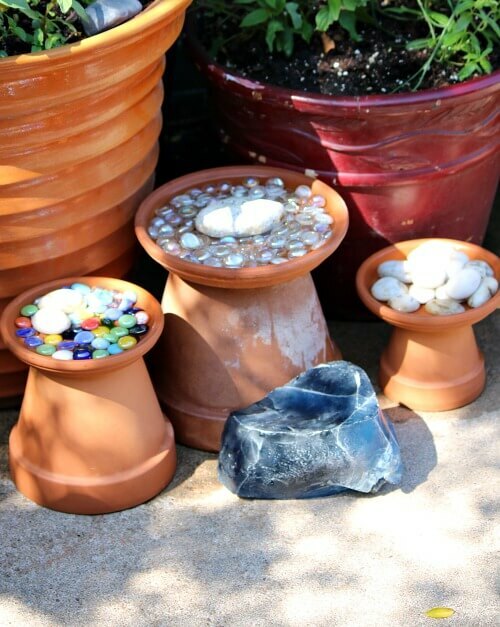 Provide a flat surface such as a rock in your saucer where they can safely perch and bask in the sun. Freshen the water each day and avoid using pesticides. Thoroughly wash container weekly. Butterflies can see colors and are attracted to bold and warm colors like yellow, pink, red, purple, lavender, bluish green or orange. Hummingbirds are attracted to red tubular flowers, while butterflies like open-faced yellow and purple flowers. If you see butterflies on moist sand or mud and they appear to be nibbling, this is called “puddling.” They do this to obtain minerals from the soil. 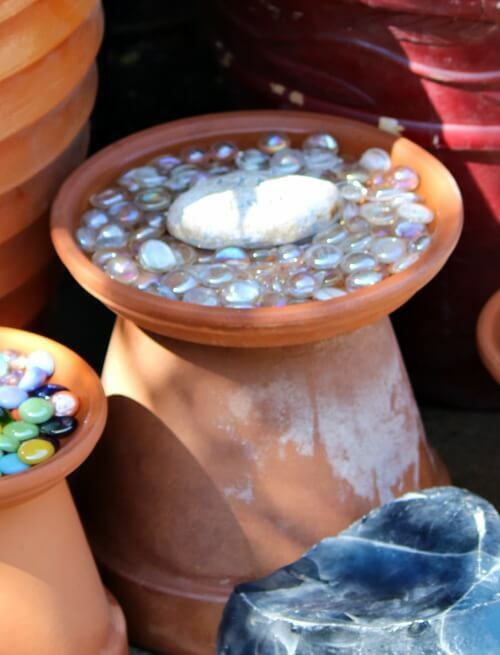 You can provide a puddling spot by placing a saucer or shallow pan in your garden and filling it with coarse moist sand. (Sand keeps water from evaporating). The part about changing the water daily is important to not breed mosquitoes! We have “false acacia” trees which have just come into bloom, and which bees love. Acacia honey is very sought-after. I plan to plant some flowers to attract more butterflies, and I hope to also get hummingbirds, which I haven’t yet seen here. Your list will come in handy. We do have a lot of lavender, and it certainly does please the bees. I’ll have to google that. I haven’t heard of acacia honey. I haven’t fertilized them. I rarely do. They seem to do okay without it. But I do have the ingredients to make a homemade fertilizer if I need it. Lots of good info here. Thanks!